Hello and welcome to the Blackbridge Runners microsite. Blackbridge Runners is attached to Gloucester Athletic Club and is a running group for anyone who wants to start jogging or running, or who wants to run at their own pace for recreation / fitness with a friendly group of like-minded people. It ideal for those returning to running after injury who want or need to ease themselves back into training, and also for parents of children attending our club sessions who would like to have a social fitness run whilst waiting. The group is coached and led by Donna Veal. 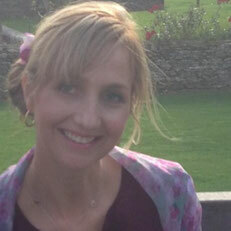 Donna is a qualified England Athletics 'Leader In Running Fitness'. The group runs on Thursday evenings, starting at 6.30pm, and the session usually lasts between 45 minutes and 1 hour. There is no charge for the sessions. 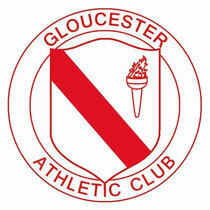 The group meets at and starts from Gloucester AC's clubhouse at the Blackbridge Pavilion. This is located right next to the athletics track at the very end of Poplar Close, Podsmead, Gloucester. Postcode for satnavs is GL1 5TX. We do various sessions and these are always tailored to the ability of the runners present, whether they may be a complete novice or an experienced runner. There is no pressure and everyone runs to their own level. Sessions in the summer are usually on the large grass playing field behind the Blackbridge Pavilion, and we sometimes go down to the canal and run along the towpath, or onto Robinswood Hill. Winter sessions are usually either on the well-lit footpaths in the adjacent estate, or on the pavements of the nearby roads. Distance varies but is usually between 4K to 6K, although beginners will probably do less than this initially. Some of us also occasionally enter local low-key races - this is a great way to test yourself in a competitive environment, however there is never any pressure put on anyone to take part in such events if you don't want to. If runners develop their ability and feel they want to push themselves to the next level, they are welcome to join in the regular Gloucester AC endurance running groups.